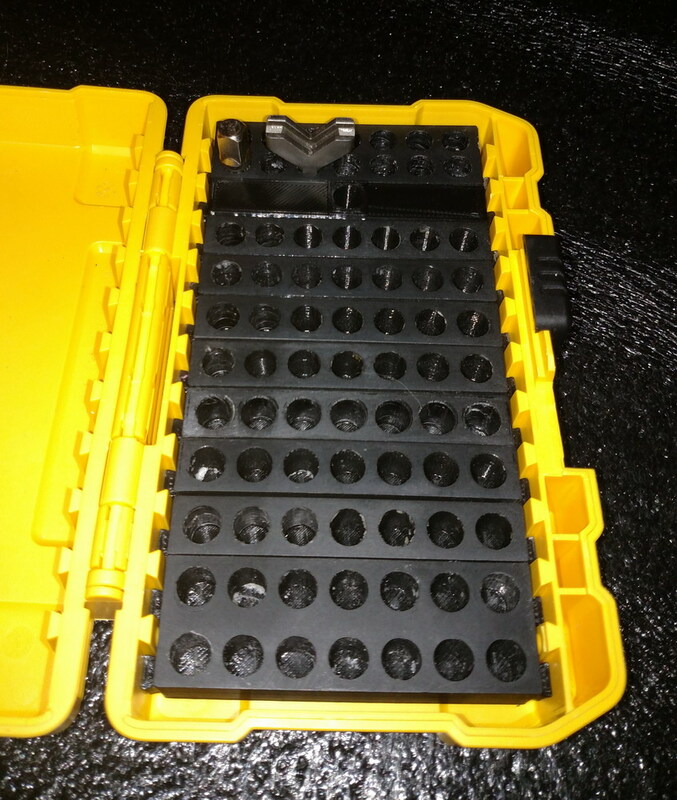 Slide in add-on for the Dewalt Hex Bit cases. 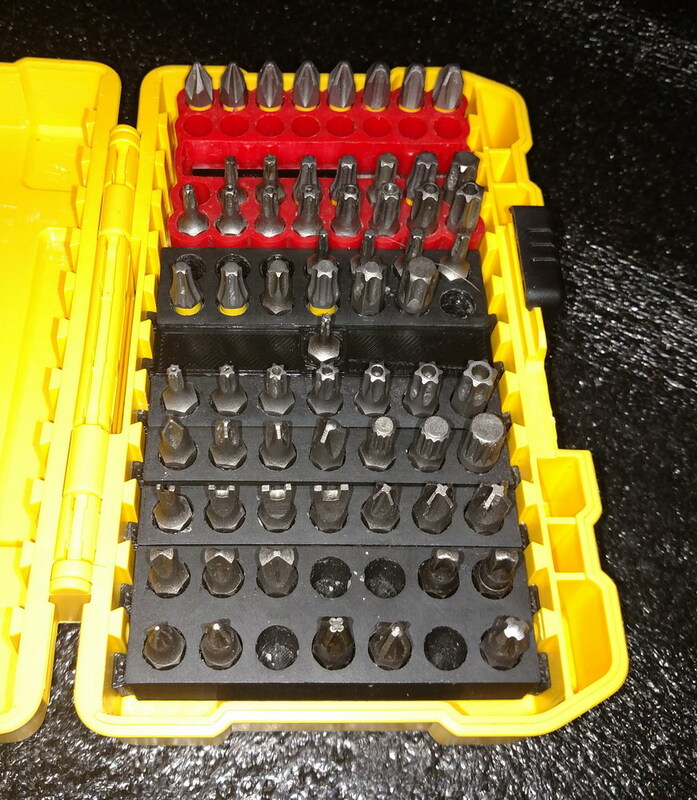 This allows for additional bit storage and better organization. There are 3 hole sizes available in the STL files bundle. 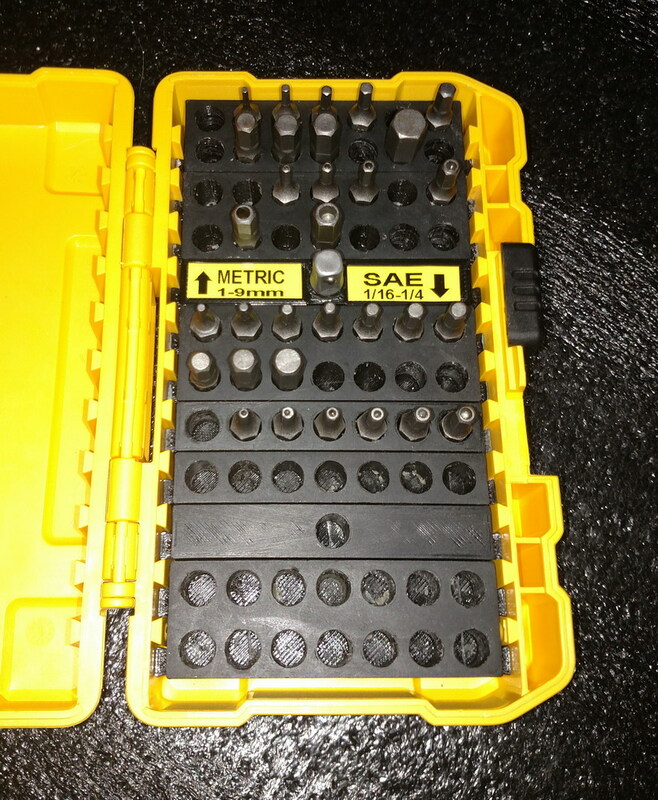 they enable different fit of the bits in 0.05mm increments. If you want a nice easy to remove fit ream with a "L" sized bit after printing. For anyone wanting to make your own design, there is a PDF attached with dimensions of the double tapered interconnects. 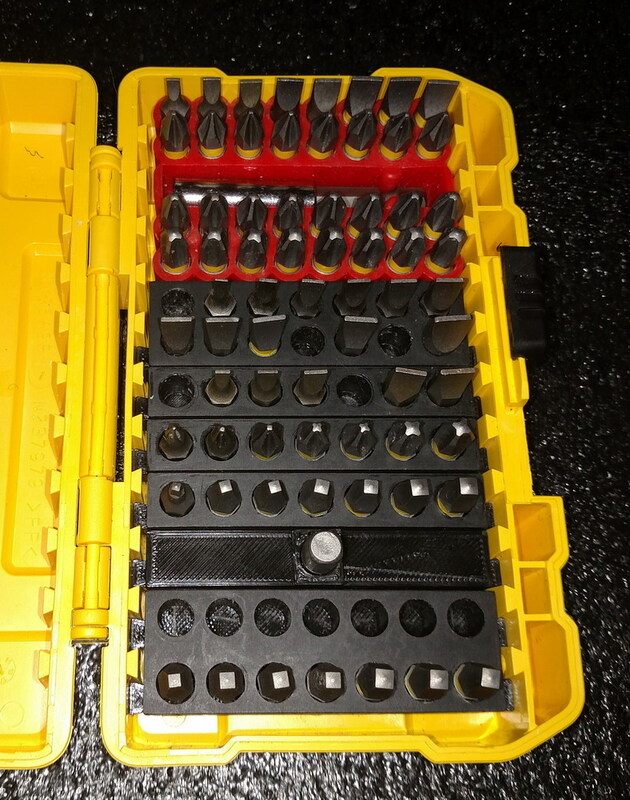 I have not seen any other adapters that correctly fit the Dewalt boxes. Below is a preview of some of the ways you can use them.